Revolving their business around Savannah’s local farmers and fishermen, Cha Bella is a farm to table restaurant that sources its ingredients from local producers in Savannah, Georgia. Almost everything in their menu can be acquired from places that are only a short drive away from the restaurant itself. Thus, patrons are always treated to fresh and organic dishes made from no less but the best ingredients that are in season. They also offer world-class beverages, ranging from wines to craft beers. This is also what makes Cha Bella such a unique wedding destination in Savannah. 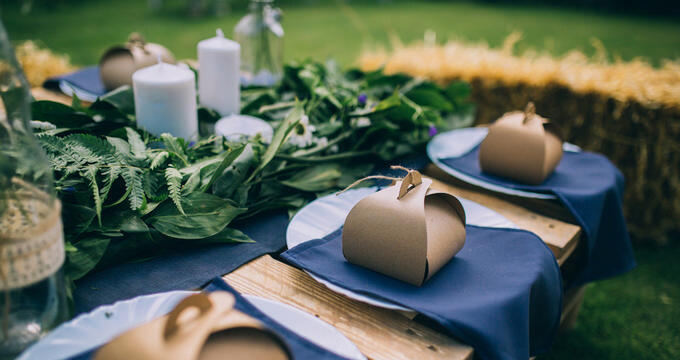 Couples who choose to get married in this venue get the opportunity to feed their guests with nothing but the freshest dishes prepared by Chef Michael Lacy who uses seasonally available ingredients. With the help of Savannah Earth to Table Catering, Cha Bella’s special events and catering division, couples who are passionate about supporting sustainable practices that benefit local farmers and fishermen can have a wedding that does just that while still leaving their guests satisfied with the food served during the celebration. You can make arrangements with Cha Bella online, via OpenTable. Alternatively, you can contact them via 912-790-7888. Below is a sample menu from the restaurant. Starters: Crispy Goat Cheese and Local Honey, Mussels and Chorizo, Watermelon Margarita, Red Snapper Tacos, Cherry Tomato Caprese, Grilled Heart Romaine Wedge, Bacon and Bourbon Board, Meats Mustard and Marrow, Bison Carpaccio. Entrees: Georgia White Shrimp and Risotto, Seared Local Red Snapper, Country Fried Portabello, Sea Scallops and Spaghetti Squash, Free Range Chicken, Savannah Sausage, Grilled Pork Chop, Filet of Beef. Keep in mind that their dishes change depending on the ingredients in season. Check back with their official website to know what’s currently on the menu. Although it’s primarily a farm to table restaurant, Cha Bella has received nothing but good feedback from those who decided to celebrate their weddings there. Cha Bella’s fresh American fare is matched only by the venue’s fresh and romantic atmosphere. The restaurant also has a staff that’s helpful and ready to meet all the needs unique to the event. Interested parties will also have the freedom to choose the items on their menu during the event, subject to whatever ingredients are in season. The menu, along with a number of other factors like the day and time of the event, will affect the overall pricing of the wedding package. To know more about the wedding packages, menu, and pricing, feels free to contact Cha Bella via 912-790-7888 or visit their official website for more information.